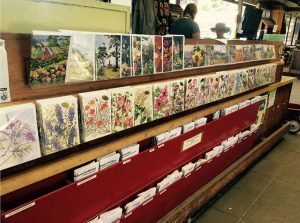 Traditional Botanical Works is a small business located at the base of a fifty acre ridge surrounded by increasing development. We are committed to raising awareness to our local native plants, biotic resources and the importance of conservation. 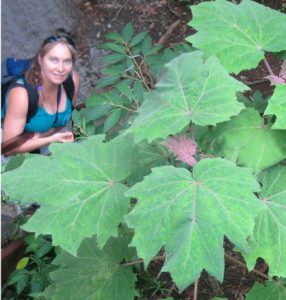 “When I started exploring where plant species grow and their habitats, I was surprised to find so many ecotypes within the San Francisco and Monterey Bay region. I knew there were many, but this many? The land here has many faces. And what’s more, the plant character changes to reflect the soils, topography and distance from the Pacific Ocean. Out from the hard decomposed granite substrate grow the magnificent red maid. The spectacular chia loves it’s sandy soil and dry chaparral habitat. The pickleweed grows partially submerged in our brackish local estuaries. According to several sources : Almost one third of our plants are rare. Ninety percent of California wetlands are gone; however, the second largest estuary in the state is our local Elkhorn Slough. A multitude of plant species thrive due to a wide range of microclimates and habitats including grasslands, conifer forest, coastal and montane scrub, chaparral, riparian woodland and wetlands. 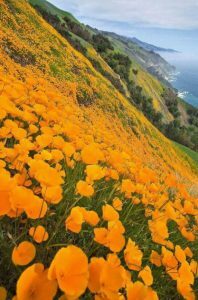 In addition, owing to the Mediterranean climate in the Monterey Bay area, world wide exotics thrive as well. There are even endemic habitats, such as the Zayante Sandhills, that don’t occur anyplace else on earth. Claudia Stevens, PO Box 2435 Aptos, CA 95001. 831 688-7980.